People who stopped the Belene nuclear power plant. Any radical (or even progressive) who has been paying attention knows that people who listen or watch no news at all are better off, accuracy-wise, than people who watch Fox News. So it will be little surprise that Fox News is running an anti-green energy campaign, when it is not relabeling nuclear power plants as environmentally advantageous. 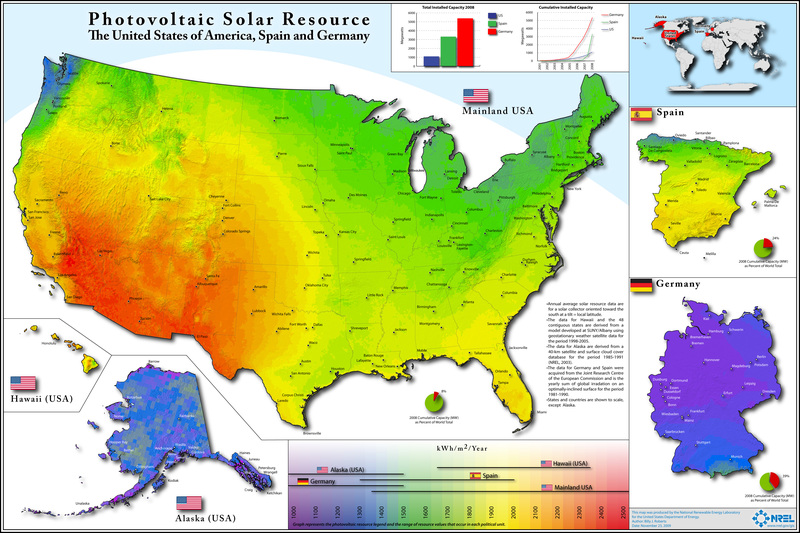 For geographically challenged US Americans it is useful to note that Boston and Rome are at the same latitude, so it turns out the solar energy profile of Germany is similar to that of Alaska. And for the record, it is feed in tariffs and investor protection which has spawned the growth in renewables in Germany, not either the sun or wind resources. Just as reality TV is generally disconnected from reality, Fox News is a sly satire in the style of the Daily Show, with the joke being on the viewers. a funologist, memeticist and revolutionary. Can be found in the vanity bin of Wikipedia and in locations of imminent calamity. buckle up, there is going to be some rough sledding. This one will probably get shared with my classes when we get to the section on energy resources and usage. thanks! That is so funny! Germany more sunny than the US? They have obviously never been to Northern Europe. Most Americans will actually believe this because they don’t know jack about geography outside their own country. Closer to home, the only reason Twin Oaks can have a huge photovoltaic array is due to it being the beneficiary of enormous federally funded State rebate program. I understand the sentiment is “cool, it’s solar”. I’m enthused about solar too. But it most of this country, and certainly in Germany, solar PV is simply unsustainable. Perhaps you think it is great that the government subsidizes solar power. But each subsidy literally taxes other parts of the economy, resulting in hidden costs and huge distortions. Imagine if the money spent on solar subsidies was instead spent on schools, on first time homebuyer credits, or simply on reducing the tax burden. A sustainable energy program would not focus on favoring one energy source over another, but rather would give citizens the freedom to choose and let the market decide the preferred sources of energy. The solar and wind subsidies in Germany have always been designed to get them market share and then fade out, this is not returning to logic, this is the logic since the beginning. with the oil depletion allowance and off shore drilling platform dodges, plus billions in other oil industries subsidies tax breaks and full on give aways. destroy the planet as fast as possible. I’m flattered that you worry others may find my ideas “tempting”. But your facts are so far off base they’re not even in the ballpark. Regarding the “elaborate and powerful tax dodges”, well, advocate simplifying the tax code if you wish. Depletion allowance are little different than real estate depreciation allowance – because oil wells deplete. If you don’t want the people to have the freedom to buy the form of energy they want, then who? The government does a good job of picking losers like Solyndra – who or what will do better? Your musing about coal is all off — check the facts, coal use in the U.S. has declined steadily over the past decades. Actually what you are claiming is not true. Massive tax incentives for oil companies ahve been the target of congress, but have been shot down by lobbiests. (See http://www.pbs.org/newshour/bb/politics/jan-june11/oiltax_05-12.html). And the nuclear industry makes Solyndra collapse like a spped bump. You obviously dont care about the negative externalities of the oil industry, otherwise you would not be claiming the market as king.